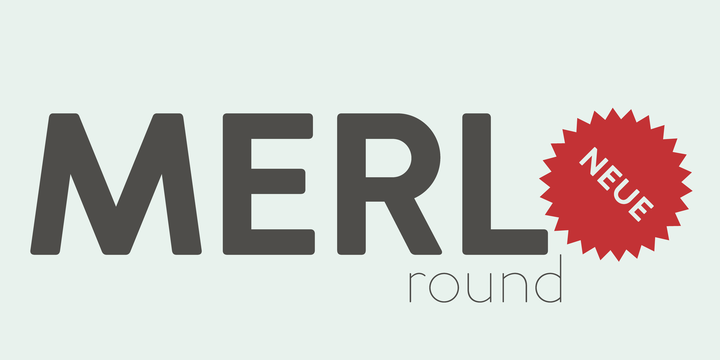 Merlo Neue Round is an improved version of Merlo Round & Merlo Neue fonts, published by Typoforge Studio. This family font comes in seven weights (from Hairline to Bold) with accompanying italics, useful OpenType features (high quality font) and language support. It is ideal for display use, headline, invitation, text, packaging, poster etc. A font description published on Monday, October 30th, 2017 in Blazej Ostoja Lniski, Fonts, Typoforge Studio by Alexandra that has 1,503 views.